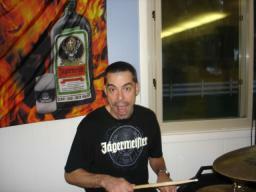 At the end of a very festive evening in Rome, NY on October 6th, Fred proclaims "It's still Jager Time!" 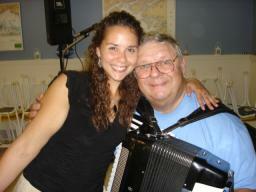 While posing for this picture at the Lake Delta Yacht Club on October 6th, Fred is probably thinking to himself how great it is to play the accordion, right? 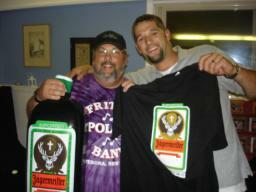 Gabe presents a Jagermeister t-shirt to Dan during FPB's gig at the Lake Delta Yacht Club. Dan and Gabe's son, Zach are former hockey teammates. 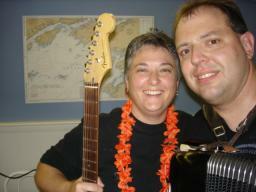 Fritz is shown here with Shari, as she jammed on guitar with FPB on 'All Along The Watchtower' during FPB's third set on October 6th in Rome, NY. 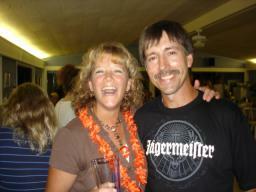 Frank is all smiles as he poses for a photo with a friend on October 6th in Rome, NY. 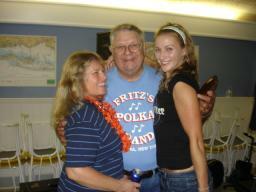 Gabe is shown here with his legion of fans at the Lake Delta Yacht Club on October 6th. The ladies just couldn't wait to get their hands on Gabe! 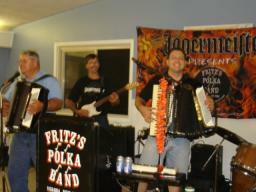 Fred, Frank, and Fritz tear through a tune during FPB's evening gig at the Lake Delta Yacht Club in Rome, NY on October 6, 2007. 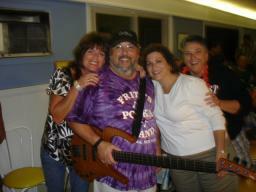 Rick is pictured here during FPB's gig on October 6, 2007 at the Lake Delta Yacht Club in Rome, NY. 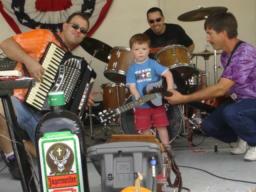 The Fritzafraniac, Little Adam, The Tachihara Prince, and The Lightning Bolt are pictured here during FPB's second set at the Cortland Pumpkin Festival on October 6, 2007. The Highmarket Prince shows he doesn't need to have his eyes open to rip through a tune during FPB's afternoon gig at the Cortland (NY) Pumpkin Festival on October 6th. 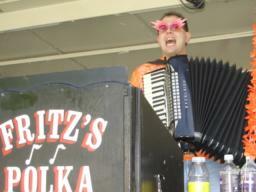 The Fritzafraniac (check out those shades!) 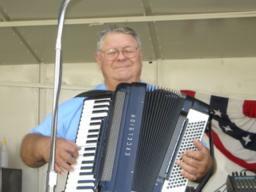 cranks out a tune in Cortland, NY on October 6, 2007.